Sunny Isles will soon have a new take on exclusivity and private living. Despite a legal battle with nearby homeowners, construction is well underway on the Privé at Island Estates condo project in Aventura. Privé will be a 160 unit, 16-story project with an expected delivery in early summer of 2017. The project is being developed by BH3 and Gary Cohen with Sieger Suarez and interiors by Steven G. Pricing ranges from $2.1 million to $11.4 million and units come in 2,3,4,5,6 and 7 bedroom layouts which range from 2,585 SF to 9,500 SF. About 25% of the pre-construction buyers have been from South Florida, which is very rare new-construction in Miami. The development will also feature a state-of-the-art gym and spa in each tower, full-service staff, private dining, poolside cafe, wine room, cigar room, tennis courts, multiple swimming pools, a marina and natural jogging trails. Will Miami's luxury condo market get a jolt from Faena House? Time will tell, but $150 million of units are back on the market as investors seek to flip their investments, which sold-out at $407 million. The last developer unit closed in May to Paul Cejas, who purchased a unit for $20 million. Hedge funder Ken Griffin purchased the double penthouse units for $60 million and has listed them at $55 million and $18 million a piece. It can be typical for units 10% to 20% of units to hit the market after a building is delivered, which is right where Faena House is at 9 of 44 currently listed. Despite that some units have been listed for close to a year. Currently listed units range from, $3.7 million to Griffin's $55 million and sellers plan on holding firm on their pricing. Miami is fast on the rise to solidifying itself as the superyacht capital of the Americas and the Island Gardens development is a major driving force behind the shift. By Flagstone Property Group, the Watson Island project is expected for completion in 2018 featuring a superyacht marina that can accommodate up to 550 feet, 2 luxury hotels, condos, and a retail and entertainment promenade. The marina will be the first of its kind in North America and will be able to house of to 50 superyachts matched with full-service amenities for the marina including a clubhouse, on-site customs, etc. The project will also feature 221,000 SF of retail and green spaces throughout the property. Mehmet Bayraktar won the rights to build the development after working with the city for 14 years. Flagstone plans to start building this fall. 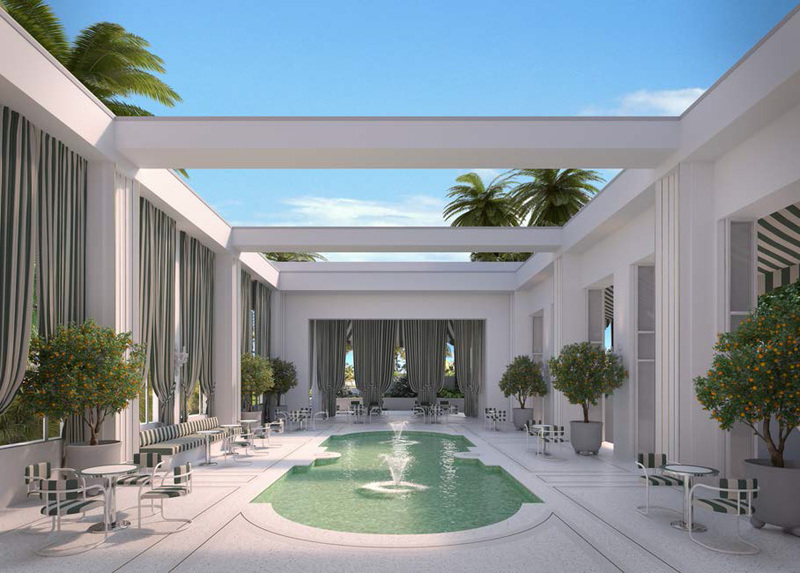 Faena Versailles Classic will bring new world luxury to old world art-deco style. Faena Group has transformed the Versailles Hotel on 35th St. and Collins Ave. Miami Beach into a 22 luxurious units by William Sofield. The renovation has preserved the 1940's facade, grand lobby, terrazzo flooring among other features in it's historic art-deco style. Units range from 1 to 4 bedroom at 1,034 SF to 2,753 SF with two duplex penthouse units at 7,300 SF each with their own pool. The residences already include luxurious, Miami style features including the classic terrazzo floors and custom lighting. 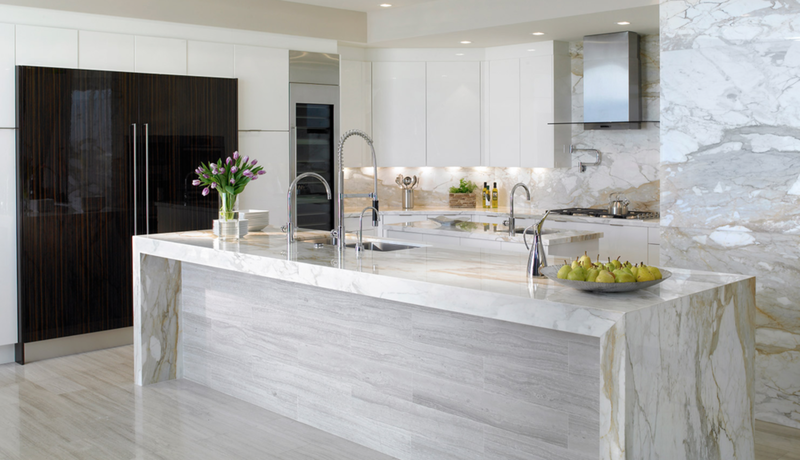 Additionally high-end Italian kitchens and stone counters add to the quality of the residency. Amenities include pool, fitness center, 24 hour security and valet, stylish club rooms and access to the entire exclusive Faena neighborhood. 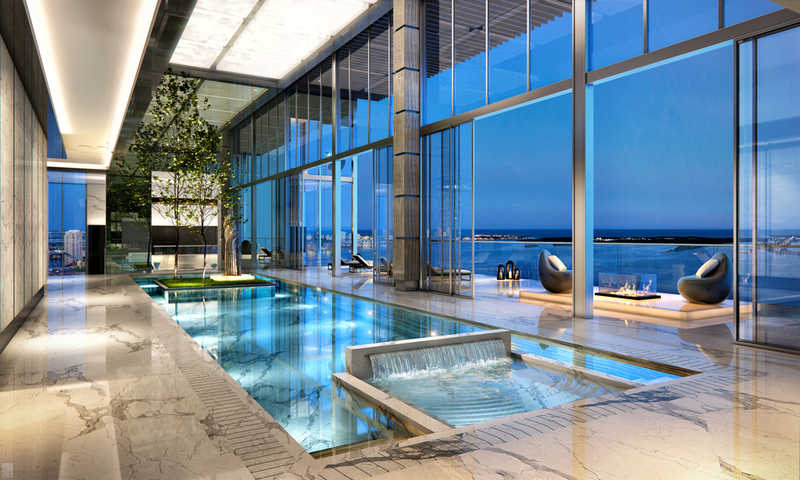 Brickell Ave. has a new luxury high-rise. 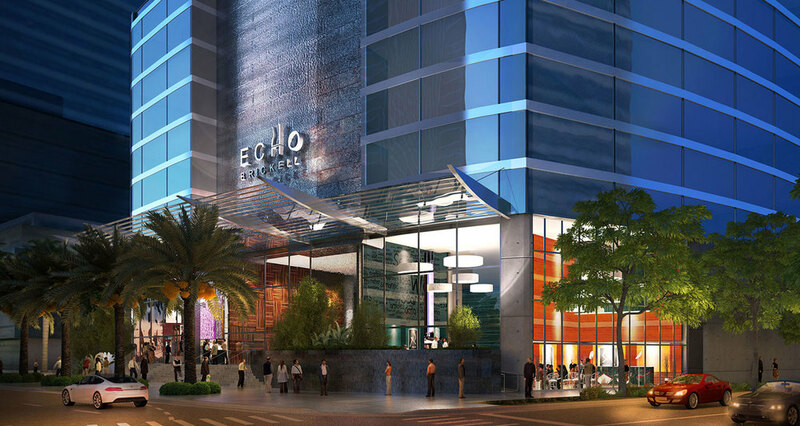 From Property Markets Group and JDS Development Group comes Echo Brickell, a 180 unit boutique luxury residential tower. The 60 floor tower's innovative architecture is by Carlos Ott with Cohen, Freedman, Encinosa as well as is a limited edition design collaboration between Carlos Ott with interiors by the yoo Studio to create Carlos Ott + yoo. 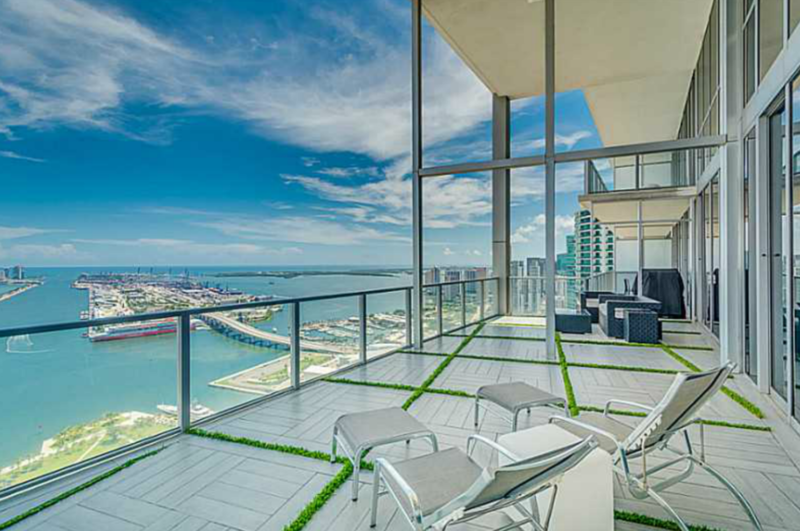 Echo Brickell features 1, 2, 3 and 4 bedroom layouts designed by Carloss Ott and Yoo Studio. Units range from 760 SF (1 bedroom) to over 4,300 SF (penthouse). Residence's include smart home technology, summer kitchen, 8 ft terrace, marble floors and Italian cabinetry. The residences are matched with high-end amenities including an infinity edge pool with bay views & poolside service, hot tubs, fitness center, valet and 24 hour concierge and security. Echo Brickell is in prime walking distance to Mary Brickell Village as well as the new Brickell City Centre. Completion is expected by the end of 2016 on this skyline chancing development. Coming soon to Edgewater is the exciting new Missoni Baia, the first residential development for the legendary fashion house. The 56-story building made news last week when renderings were released of the 649-foot condo tower, with waterfront luxury residence units starting at $1.6 million to $3.9 million. Missoni Baia will be developed by Vladislav Doronin's OKO Group with architecture by Asymptote and Revuelta and interiors by Paris Forino Design. Missoni's own Home Collection and Signature Design Palettes will be used throughout the buildings amenities and public spaces. Residences come in 2, 3 and 4 bed with private terraces with dramatic views of Biscayne Bay. The building's amenities include flow- through deck with cabanas, hot and cold plunge pools, lap pool, children's pool, tennis courts, gym, spa and an Infinity Edge pool. Official pricing and timeline will be release soon. 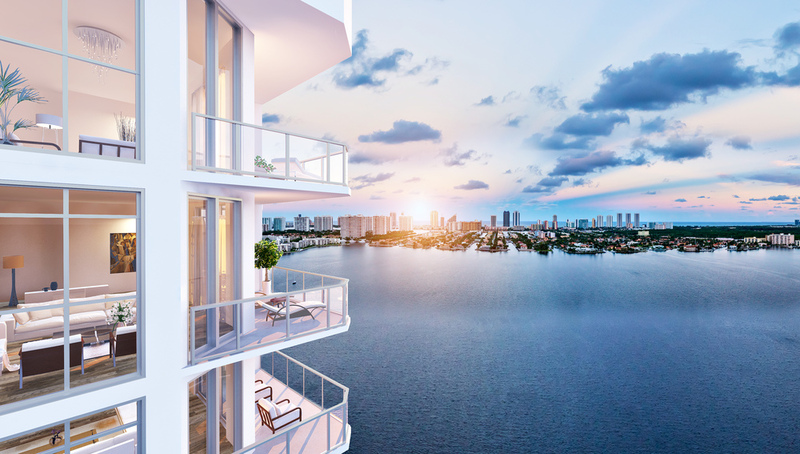 From Related Group, the developers that brought you the Murano, W South Beach, and Apogee, comes the new One Ocean South Beach: a peaceful oasis in the heart of South of Fifth that rivals its sister properties with its modern glass facade. The building will have 46 residences and four oceanside villas with unique living spaces that incorporate nature and art created by architect Enrique Norten. 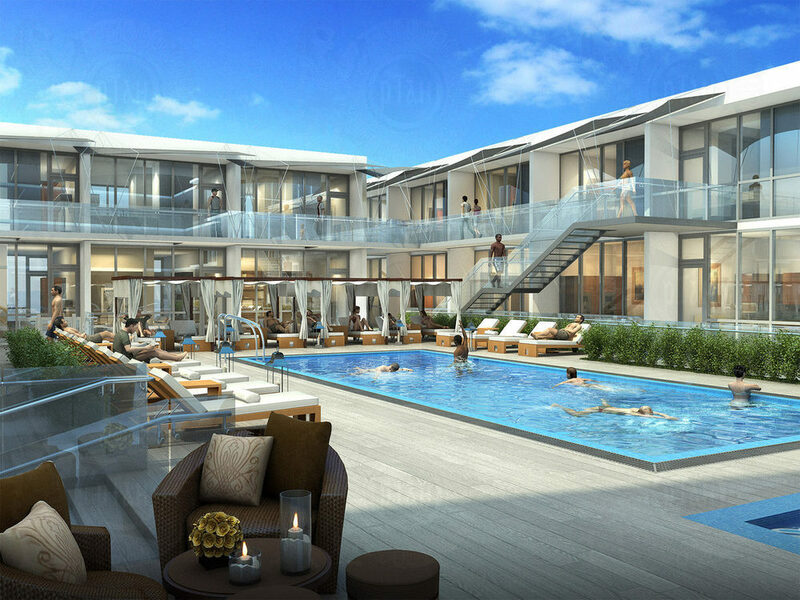 Typical units will include oversized balconies, private elevators, and an exclusive beach club membership. Residents can enjoy looking out at the zen garden from the state-of-the-art fitness facility or relax in private cabanas at the Infinity Edge pool. 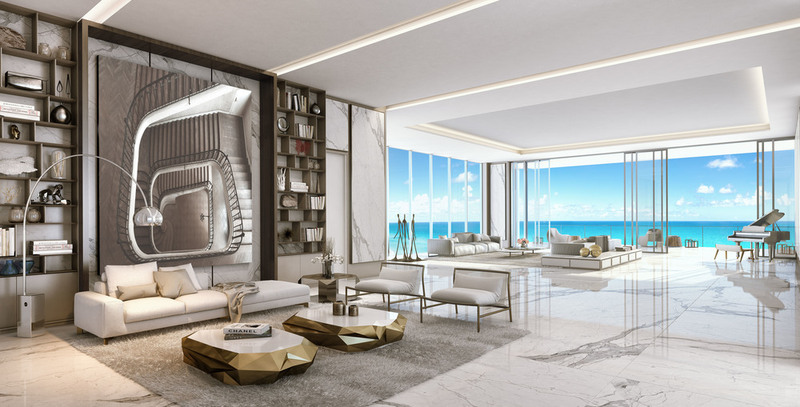 One Ocean South Beach is being designed so that every unit will have a unique, flow-through floor plan, so each will be a one-of-a-kind. The building offers three to five bedroom options which will typically be around 3,000 SF starting at $1000/SF. The Mansions-in-the-Sky at Acqualina are the epitome of world-renowned luxury, where your every need has been anticipated and desire fulfilled. The Mansions bring you a complete lifestyle, where every nuance manifests their commitment to an unparalleled level of greatness: in architecture, amenities, and service. Developed by The Trump Group, the oceanfront Mansions were completed in 2015 in Sunny Isles Beach. 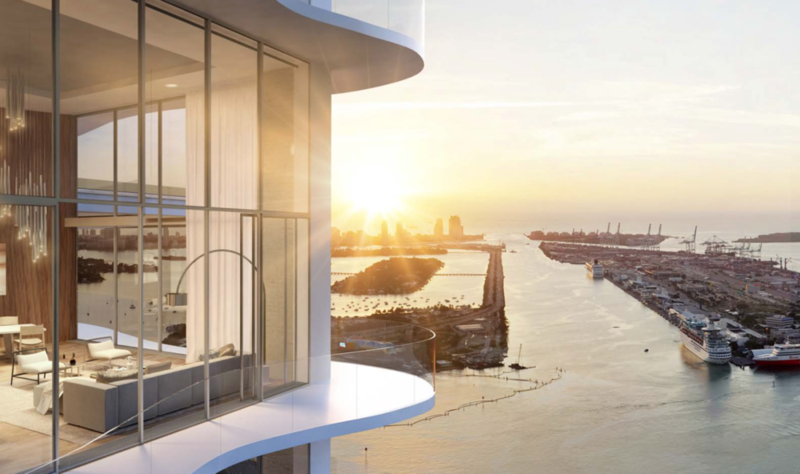 Each floor only contains two corner units that offer 180 degree views of both the sunrise over the ocean and sunset over the greater Miami area to the west. The coveted flow-through plan of the oversized rooms, coupled with the spectacular outdoor terrace and kitchen create a sense of a grandiose entertainment space. 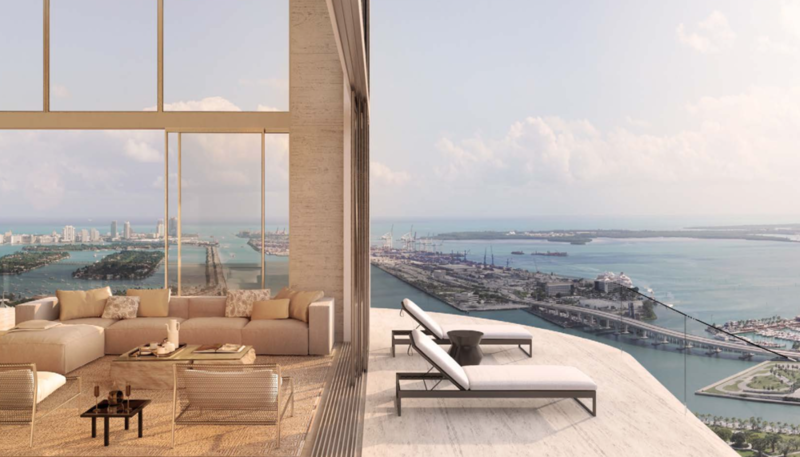 Each condominium home is personally fitted with Fendi Casa interiors, imported Mediterranean design features, and luxury fixtures created by Michael Segal Interior Design. 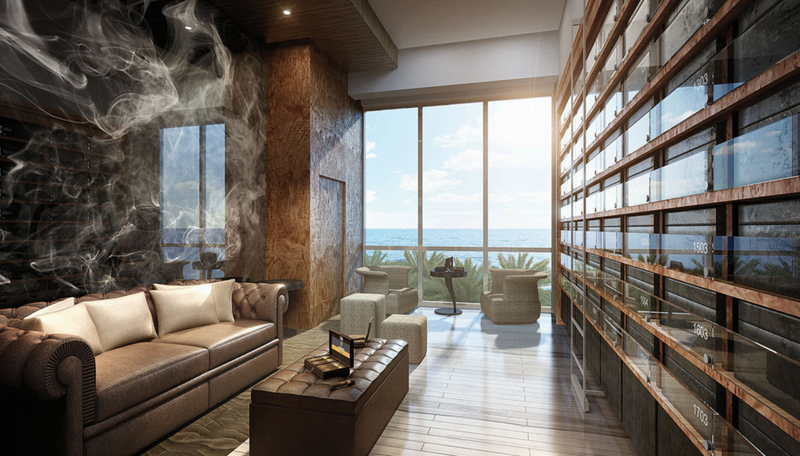 Acqualina offers residences starting at around $7 million for 4,608 square feet with three to six bedroom options. Although located in the prestigious Sunny Isles area, you won’t need to leave the property upon arrival. 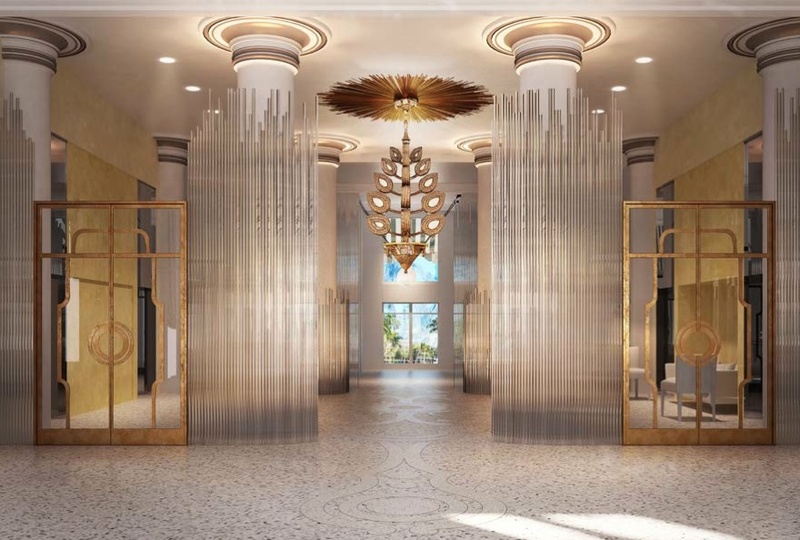 On site amenities include the Five-Diamond Acqualina Resort and Spa, a palatial Grand Room designed for entertainment, private cinema, gaming room and children’s center, virtual golf, and cigar lounge that will surpass your every expectation from the world’s finest residences. 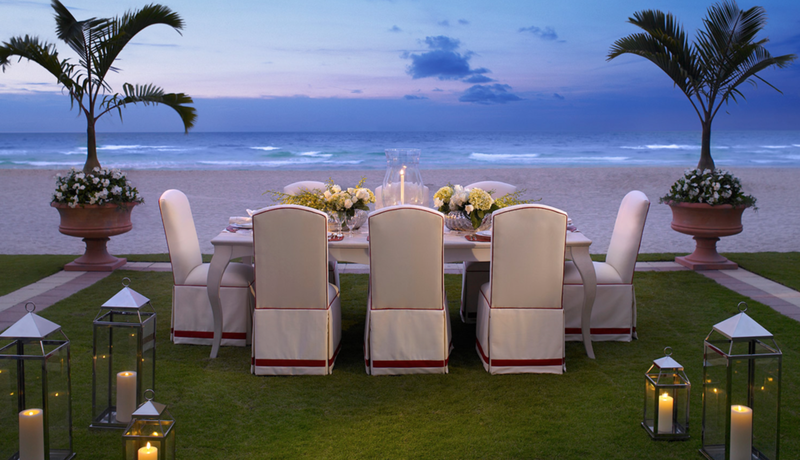 In addition to their extensive services, the Mansions at Acqualina also offer privileged access to Il Mulino New York, the oceanfront Costa Grill, and Acqualina Beach Club, Bar, and Hair Salon. The development continues to meet their selling marks with over 60% of the units currently sold, but selling prices are down 4%. However, quick sellouts in the area have prompted developers to continue investing in Sunny Isles Beach which has many new buildings going up in the coming years. 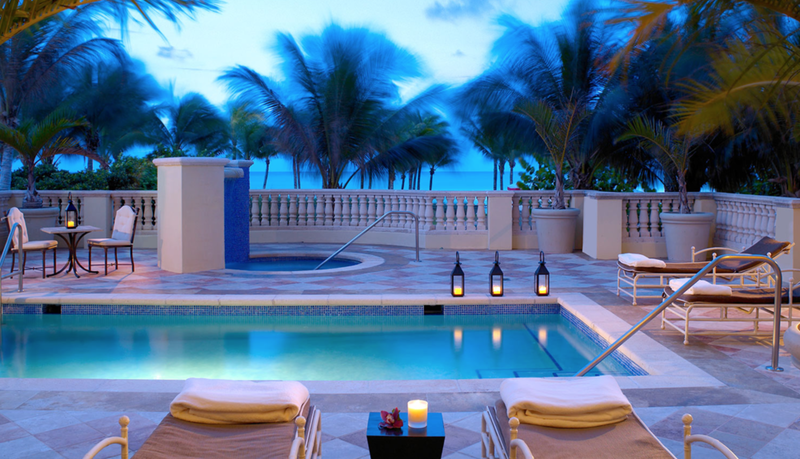 It continues to offer buyers the luxury living South Florida is known for. 50 Biscayne is a fifty-four story residential high-rise built as one of the first upgrades to Downtown Miami in 2007. 50 Developed by George Perez's Related Group, Biscayne is a major portion and one of the most southern tip of the ever developing Biscayne Wall. 50 Biscayne was designed by Sieger-Suarez to pay tribute to MiMo (Miami Modern) style architecture. 50 Biscayne is made of up of 451 total units that range from Studio to 3 bedroom layout. Pricing averages around $450 SF at $235K to $1.5 million. 50 Biscayne includes 24-hour concierge, fitness center, spa, lobby retail and dining as well as a resort-style pool with cabanas. 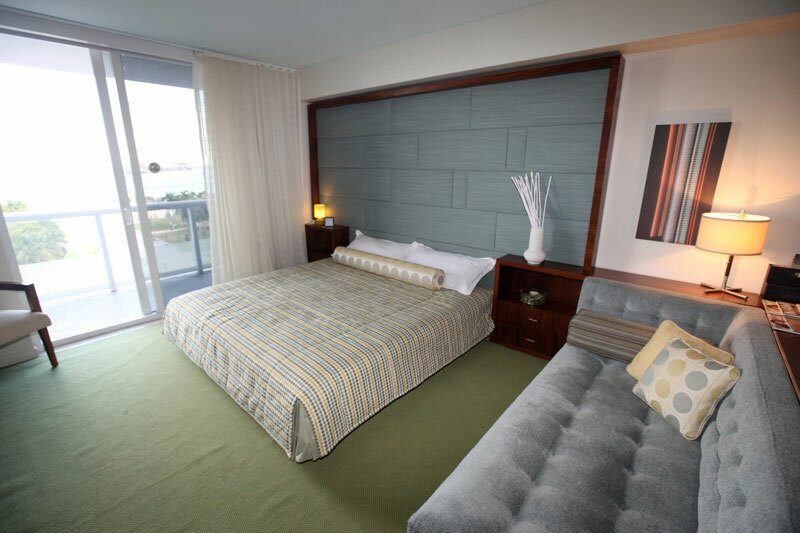 It is located across the street from the popular Bayfront Park, Brickell City Centre, Epic Hotel, Intercontinental Hotel and American Airlines Arena. With the condo market staying solid, 50 Biscayne is a smart choice for an investor looking to put their money into a quality building with a top location and high rental demand. The war zone over on Purdy Ave. will not be coming to a close any time soon as Miami' Beach's Land Use & Development Committee approved Deco Capital Group's request to raise height restrictions. In partnership with New York developer RWN Real Estate Partners, the mixed-use Sunset Harbor Residences will reach up to 90 ft, extending on the previous 50 ft limit. This ordinance is only applicable to owners with over 200 ft. of frontal space on Purdy Ave. Deco Capital aims to build 15 luxury condos atop their premium retail space that they purchased in 2014. Sunset Harbor Residences will be 3-bedroom layouts and approx. 2,000 SF. The building will overlook Purdy Ave & Maurice Gibb Park and include covered retail spaces and indoor/outdoor cafes in a covered promenade. Owners at the Lofts at South Beach are pressing Deco Capital Group for financial compensation due to lost views attributable by the approved increase in height restrictions ordinance, which will block views North from the Lofts at South Beach. The Sunset Harbor area is undergoing massive and fast redevelopment and is blossoming into one of the most expensive and walkable neighborhoods in Miami Beach, only rivaled by South Pointe. Retail, dining, entertainment amongst other attractions have moved into the area which has been transformed from auto-lots and junkyards to high-priced luxury real-estate. The project looks to capitalize on the development style that has found success in Sunset Harbor to this point, bringing in mixed-use developments, pedestrian walkability, covered retail spaces and indoor/ outdoor cafes. Sunset Harbor serves as the entrance to Miami Beach via Venetian Causeway and is just minutes from Lincoln Rd. A new glass condo building will be coming to 6901 Collins Ave. thanks to a joint effort by three development groups. Given the moniker L'Atelier Residences, the all-glass building will rise 18 stories above Miami Beach. SMG Management, Shamrock Holdings and W Capital Group broke ground in Q4 2015 as construction commenced with an expected opening of 2017. L'Atelier sits on 130 feet of beach front property that bridges privacy with accessibility to Miami Beach's cultural center. L'Atelier will replace the Golden Sands Hotel, but careful design by Holly Hunt will still preserve the hotels historical 3-story facade and incorporate it as part of the new building's design. Each unit includes massive balconies, outdoor jacuzzi and Poliform kitchens with Gaggenau appliances. Units come in 3 bed half-floor residences, 4 bed full-floor residences and 6 bedroom penthouse layouts at 2,300 SF, 4,600 SF and 8,000 SF respectively. The building will feature amenities by HOLLY HUNT and Enzo Enea including a private, staffed beach. Other five-star amenities include a full time House Manager, 24 hour valet, oceanfront infinity edge swimming pool, upper deck lap pool, pool bar and BBQ area, spa, hammock garden, state-of-the-art gym and a beauty salon. The penthouse has hit the market at $25 million and L'Atelier's construction continues to move smoothly along. This exciting building is sure to shake up the aging area between lower Miami Beach and Bal Harbor. 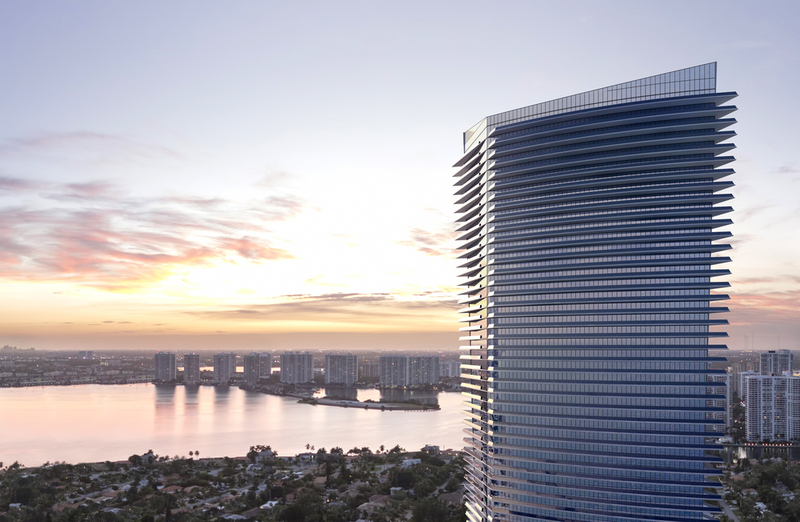 Related Group's three-hour mixed-use project, monikered Auberge Residences at 1400 Biscayne Blvd. has been approved! The partnership between Related Group and Auberge Resorts acquired the prime US-1 property for $57.3 million last year right next to the Adrienne Arsht Center for the Performing Arts' Knight Concert Hall. Arquitectonica will design the project while Auberge Resorts will manage the property upon completion. 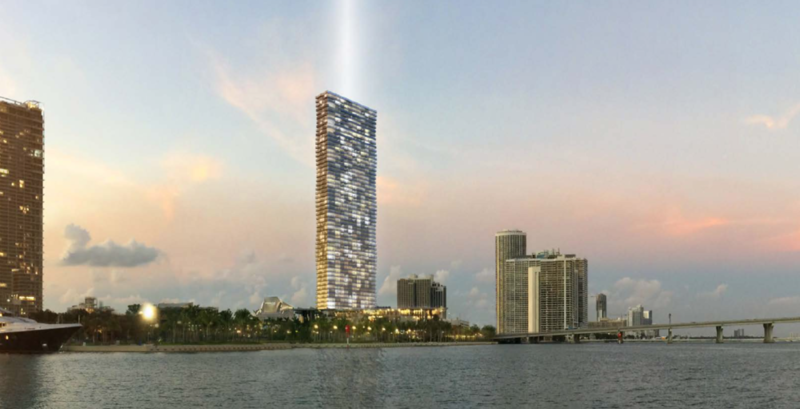 Auberge Residences is proposed as a 60-story tower facing Biscayne Bay with 380 total units, 290 luxury-condos and 90 designer condo-hotel suites. The residences will be available in 1, 2,3 and 4 bedroom layouts. 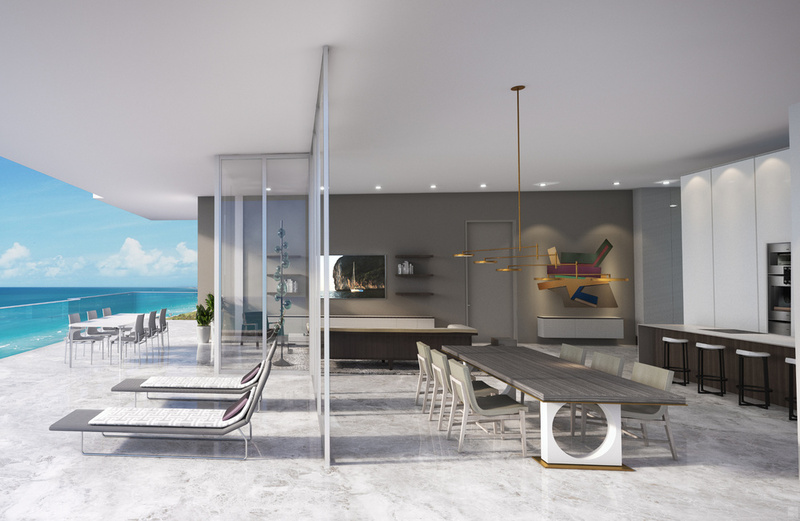 Units will have private elevators, master baths designed by Piero Lissoni, custom Italian kitchens and unmatched views of Biscayne Bay, Miami Beach and Downtown Miami. pre-construction reservations start around $700 SF. There will be a 60th floor full-service, resort style pool deck, 12th floor zen pool, a world-class spa, wine room, cigar lounge, concierge, 24/7 security, etc. The building will also pride itself on the museum-quality art which will be curated from Jaume Pensa, Fernando Botero and Julio Le Parc. Completion expected Q1 2019. 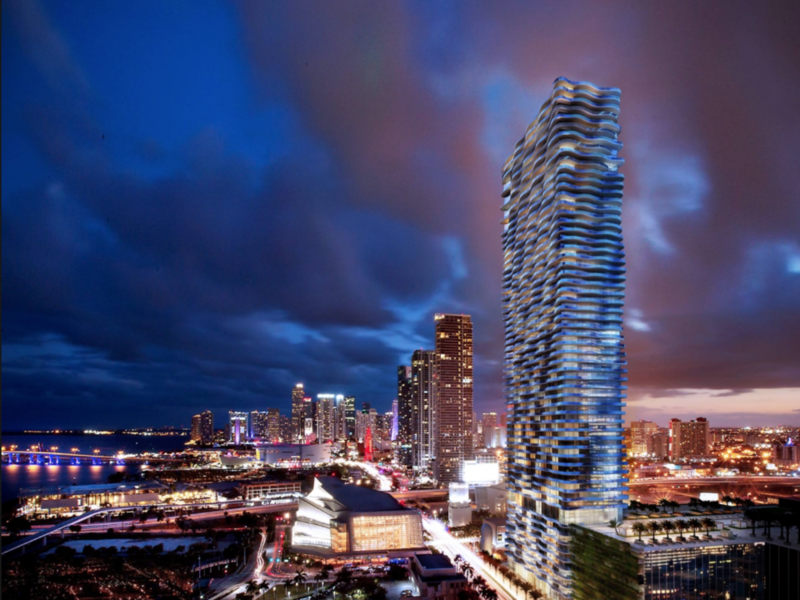 Muse is a luxury residential high-rise under development in Sunny Isles Beach, FL. The 50 story, boutique style tower was designed by Carlos Ott in partnership with Sieger Suarez Architectural Partnership. Interiors are designed by Antrobus + Ramirez of Prime 112 and Ocean House fame. Muse is walking distance from Bal Harbour and provides easy access to Turnberry, Sunny Isles Beach and Aventura. 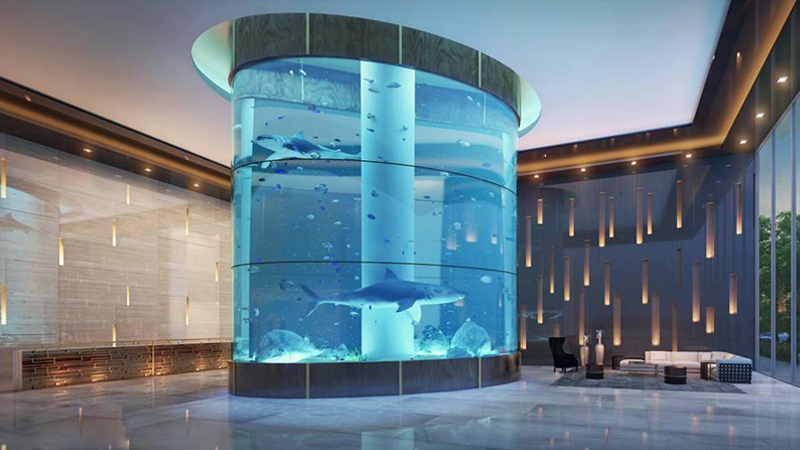 Located right on the Atlantic Ocean, this exciting project is already turning heads of future residents and investors alike. Despite rising 50 floors, Muse Residences only offers 69 waterfront units. The boutique style feel offers residents a quite, homey living expeirence. Muse Residences offers units in a 2 bed, 3 bed and penthouse house layouts. 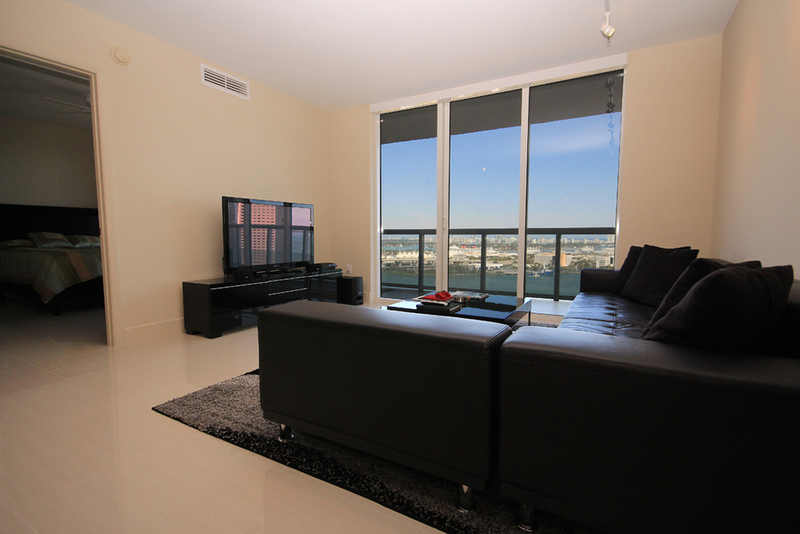 Fully furnished residences range from 2360 SF to 5995 SF with the penthouse taking up a full floor. The units come move in ready and already are wired in with the newest state-of-the-art smart home, iHome technology. Units also feature 60' wide and up to 38' deep terraces, outdoor living space with outdoor kitchen and entertainment system, private elevators with biometric technology, marble and wood flooring in the residences. Units also come with Smart Glass technology which allows residents to adjust walls to be opaque or clear. Muse also features first-class amenities and service to make residents experience a 5-star affair. The building includes an infinity edge pool overlooking the Atlantic Ocean and resort style amenities and services including room service, state-of-the-art fitness center and spa, automated parking system, 24/7 concierge and security, pet-walking services, etc. This modern building seems to have it all and plans to open its doors to residents early 2017. Spread out over 14 waterfront acres, Marina Palms Yacht Club & Residences brings the finest in bay-front living and boating together. Perfect for boaters, outdoor life enthusiasts and snowbirds looking for a winter/ weekend retreat from the cold north. The property is situated right on protected mangroves, providing breathtaking views of Biscayne Bay and Sunny Isles Beach. World class shopping, dining, entertainment and recreation are just minutes away in Bal Harbor, Aventura Mall and Turnberry. 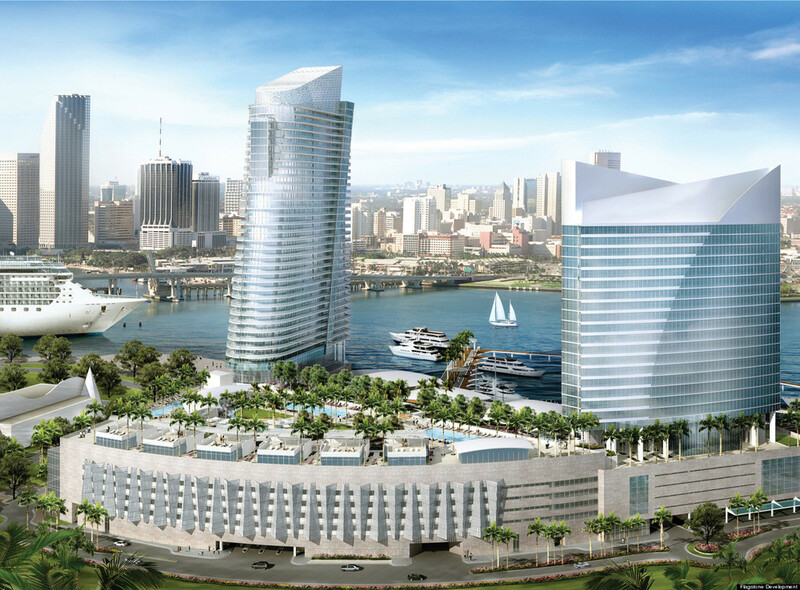 Marina Palms Yacht Club & Residences will be made up of two, 24 story towers totaling 468 units. The units come in 2 and 3 bed layouts ranging from 1,821 SF to 2,500 SF. The opulent residences include Italian bathroom vanities by Snaidero, 8-foot deep private terraces, Italian kitchen cabinetry by Snaidero, Grohe bathroom fixtures, smart technology ready, ceilings heights over 9 ft and sound insulated walls. No expense was spared when building these units, and they come designer ready. Marina Palms is unique in the sense of residents get access to the e-Concierge app for iPad/mobile access to the services and amenities offered by the building. Amenities include a two resort style pools, fitness center, club room, business lounge, 24-hour security, spa, news cafe, concierge, tennis club, personal butler services and outdoor gourmet kitchen. In addition to the twin, waterfront towers, the development will also feature a private, 112-slip marina only accessible to owners and residents. The marina can accommodate boats up to 90ft, although special exceptions can be made for larger boats. The marina also offers dockside high-speed internet and cable TV. The marina provides open access to the ocean via the Haulover Inlet. Recreational activities provided to residents include jet skis, kayaks, water skiing, windsurfing and snorkeling. If you are looking for the perfect fusion between boating life and luxury living, Marina Palms Yacht Club & Resort is a great development to consider. With the North Tower already sold-out and only 12% inventory left from the under-construction South Tower to be completed late 2016, Marina Palms is a great opportunity to live or invest. 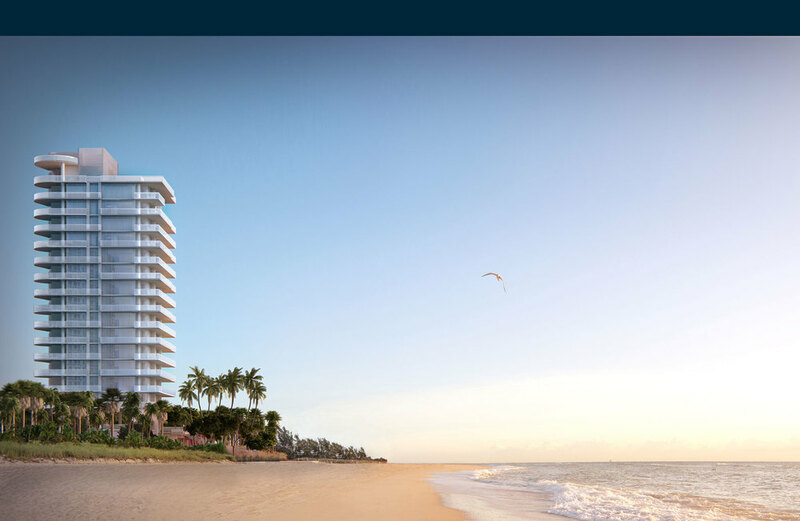 Coming soon to Sunny Isles is the beachfront Residences by Armani Casa & Condominium. This ultra-luxury condominium project brings some of the best developers, architects and designers in Miami real-estate together. The 56 story, 307 unit building is designed by Cesar Pelli of Pelli Clarke Pelli Architects. 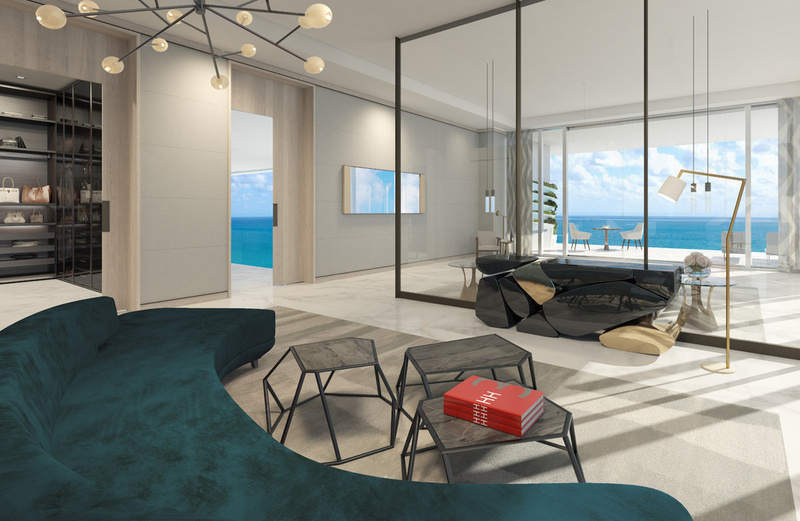 The Residences by Armani Casa is bought to Sunny Isles by developers Gil Dezer and Jorge Perez of Dezer Development and Related Group respectively in collaboration with ARMANI CASA. 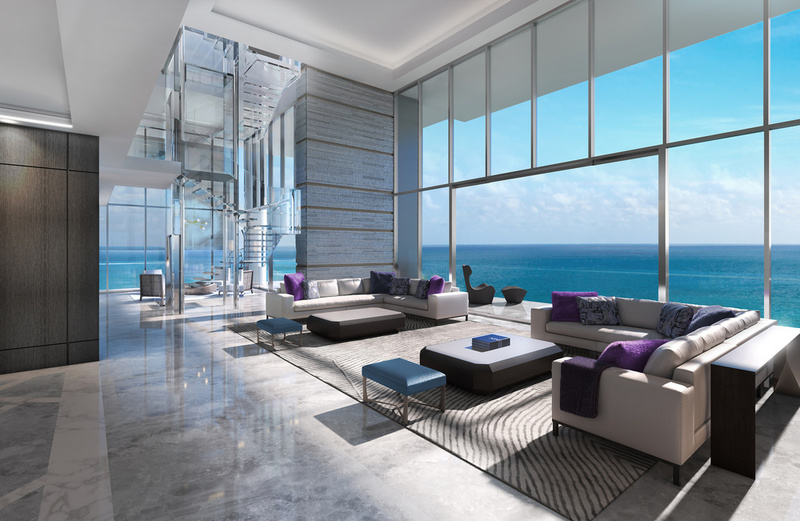 The Residences by Armani Casa will feature 5 residences per floor with 10 foot glass windows and oversized balconies. There will also be 3 floors of private cabanas, a full service restaurant, world class fitness center and spa and an oceanfront pool and sundeck. Floor plans start at approximately 1,350 SF and reach to 4,200 SF in 2, 3 and 4 bedroom layouts. The 3 and 4 bedroom floor plans are flow-thru with views and terraces on both the ocean and bay/city sides of the building. Preconstruction pricing starts at $1.7 million and reaches above $6 million. Preconstruction sales began in early 2015 and over 50% of the residences were reserved by August. The project is expected to be completed in late 2016 or early 2017. Although yet to break ground, the Turnberry Ocean Club in Sunny Isles is starting to become a reality. Designed by Carlos Zapata and Robert Swedroe, Turnberry Ocean Club is eying a 2018 opening. Turnberry's President of Residential Development said that about 2/3's of the early buyers were from South America and Europe. Turnberry Ocean Club will be a 649-foot tall tower and residential complex consisting of 154 units at 54 stories. The units range from 2,900 SF to over 10,645 SF. Pricing ranges from $4 to $35 million with the higher-end of the scale consists of duplexes that come complete with their own swimming pools, starting at $19.5 million. The building will feature first class amenities including Sunrise and Sunset Infinity-Edge pools, indoor and outdoor fitness centers, a pet retreat, pool bar, salon, restaurants and cocktail lounge. 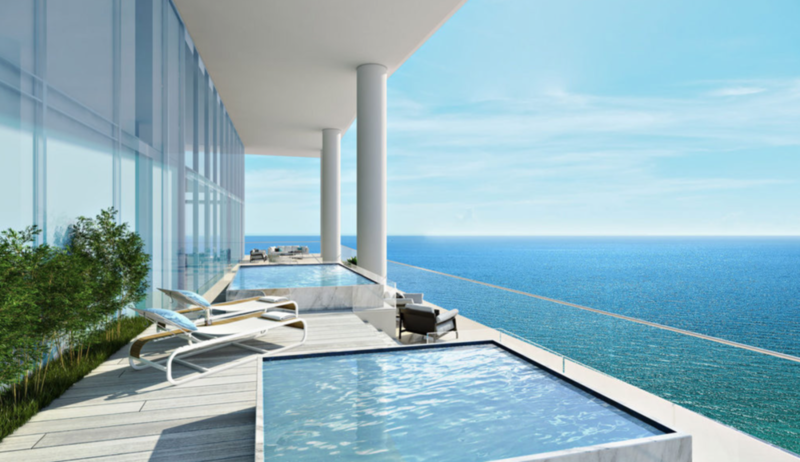 The pools are rooftop to allow for breathtaking views of Sunny Isles to be enjoyed by all residents. The building also features a Sky Club from floors 30 to 32. The developers have targeted this building at younger buyers who are looking for a residency rather than older retirees from the Northeast. What has essentially come the unofficial home of Art Basel, Midtown Miami has rapidly been transformed into a hustling and busting city center. The main Midtown development broke ground in 2005 transforming the FEC rail yard into a clean and safe area for recreation and retail. Midtown Miami continues to undergo massive amounts of construction as the area continues to grow with new buildings and businesses opening everyday. Midtown Miami is wedged between the Florida East Coast Railway and I-95 and spans from North 29th St. to I-195. The project was originally planned as a large-scale urban development with 8 high-rise residential buildings, a hotel, 2 parks and The Shops at Midtown, consisting of shopping, recreation, dining and entertainment. The project would go on to crash 2 years later with only 2 residential buildings completed, but was reinvigorated in 2011 with plans to complete The Shops and continue with development of residential buildings. The Shops at Midtown are meant to simulate SOHO from New York. Art Basel has made its home right in Midtown Miami with Art Miami and Spectrum amongst other shows attracting visitors to the area from all over the world. The completed residential buildings have become an attractive option for both buyers and renters alike due to the full-service market the area offers. Midtown currently is one of the few places in Miami where everything you could possibly need is in walking distance from your apartment. The area is also kept extremely safe and clean. Midtown 2 and Midtown 4 have been well received by the market and are very hot buildings to buy or rent. 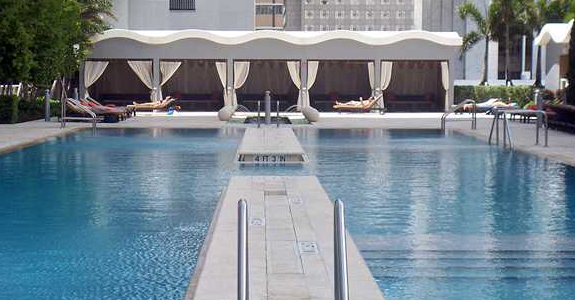 Both buildings take cues from New York's SOHO with a "Miami twist" and the pool decks create a popular urban oasis. Midtown Miami is definitely an area on the rise and worth looking into whether you are looking to buy an investment property, personal property or rent your next apartment. 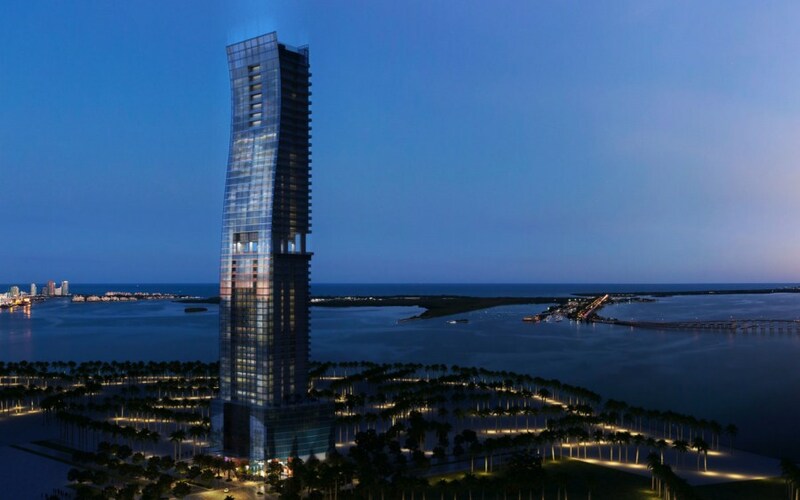 Marquis Residences is an ultra-luxury skyscraper that forms the northern most tip of the Biscayne Wall. The 700 foot tall tower was completed in 2008 and features 67 floors, which makes it the tallest residential building in the state and 3rd tallest building in Miami. Marquis was developed by Leviev Boymelgreen and designed by Arquitectonica. Marquis is dual-use with a 5-Star Hotel residing in floors 1-14 and the residences from 15-67. The building features approximately 292 private residences and 56 hotel suites. 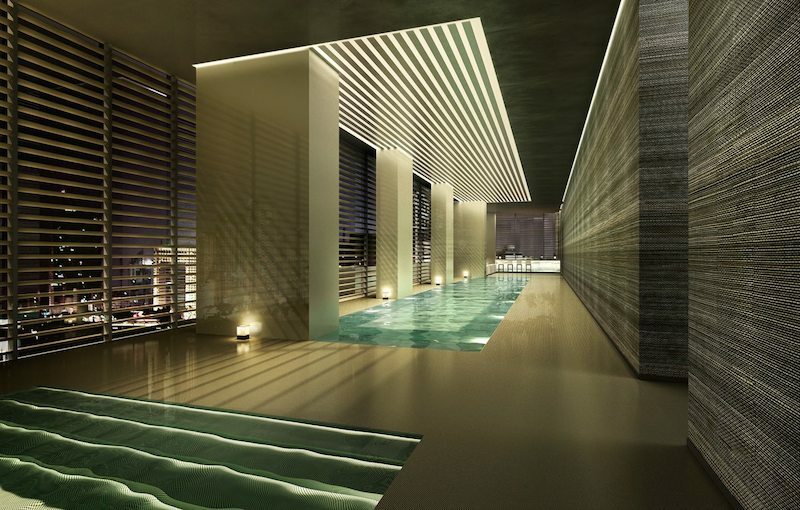 The hotel will be a Me by Melia Hotel and Marquis fetaures an 8,000 SF world-class spa and fitness center. Hotel services are available to residents including room service, concierge, valet, housekeeping, etc. The building also features a pool deck with an infinity edge pool, private residents pool, cabanas, hot tubs, etc. STK Steakhouse will also be in the hotel lobby along with a cocktail lounge and other entertainment and retail options. Marquis is an extremely well built building that was built to stand up to the the specifications of the most discerning buyers. The building was built with extra-thick, noise-reducing partition walls, smart-building technology in every unit, impact resident glass windows, quartz kitchen counter tops, rain shower head and exotic wood cabinetry. Matched with such a great Biscayne Blvd. location across the street from American Airlines Arena, The Frost Science Museum, The Perez Art Museum and Museum Park, it is no wonder why Marquis is becoming such a hot, in demand address in Downtown Miami. The Biscayne Wall formation of residential skyscrapers along Biscayne Boulevard continues to grow as Downtown Miami becomes a hustling and bustling metropolis. Soon One Thousand Museum and Paramount Miami World Center will soon be completed and opened amongst other exciting new buildings. The Biscayne Wall has been filling in since 2007, when the beautiful new Ten Museum Park stood high above the Park West area of Downtown Miami as the first building completed for the Biscayne Wall. Ten Museum Park is an exclusive residential high-rise designed by Chad Oppenheim of Oppenheim Architecture + Design. The building rises 50 floors to 585 feet and features only 200 units. The white design reflects the heat from the sun and can withstand hurricane winds in excess of 140 mph. The building also includes 20,000 SF of office space on the lower levels as well as first-class amenities including multiple pools, gym, yoga studio, spa, valet, etc. The Spa is notably by Clinique La Prairie and is one of the largest in Miami at 21,000 SF. The pool deck features 7 infinity edge pools and 4 plunge pools. Floors are by Missoni and kitchen appliances by Miele. While buildings will get newer and bigger, there is just something special about Ten Museum Park's location, design and vibe. The building is quite and homey, so you don't necessarily feel as if you live in a skyscraper. The lobby is small, which allows it to be quite and features everything that you may possibly need. Management keeps the building well run and it is poised to flourish as the Frost Science Museum, Venetian Causeway, One Thousand Museum and Paramount Miami World Center are completed. A new glass condo building will be coming to 6901 Collins Ave. thanks to a joint effort by three development groups. 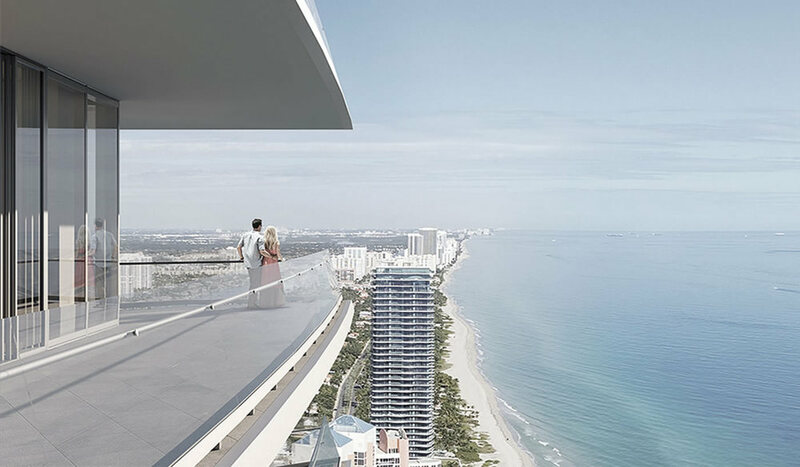 Given the moniker L'Atelier Residences, the all-glass building will rise 18 stories above Miami Beach. SMG Management, Shamrock Holdings and W Capital Group had a groundbreaking ceremony last week as construction commenced with an expected opening of 2017. L'Atelier will replace the Golden Sands Hotel, but will still preserve the hotels historical 3-story facade and incorporate it as part of the new building's design. The building will feature 22 residences in 3 and 4 bedroom formats and will range from 2,300 SF to 4,600 SF. Entry level units starting at $3.6 million with an 8,000 SF penthouse priced at $25 million. Each unit includes massive balconies, outdoor jacuzzi and Poliform kitchens with Gaggenau appliances. Sales started in February 2015. The building will feature amenities by HOLLY HUNT and Enzo Enea including a private beach area with attendants, infinity swimming pool, upper deck lap pool, 24 hour valet, Spa and state-of-the-art gym. 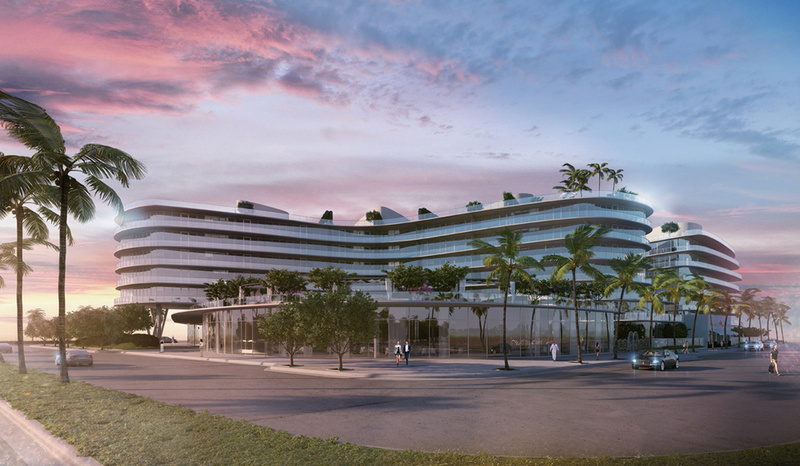 This exciting building is sure to shake up the aging area between lower Miami Beach and Bal Harbor.